Enjoy Your Business With Heartland Payment Systems! Every entrepreneur knows: money not spent is money that is in their pocket; that’s why every entrepreneur always looks for the most profitable ways to optimize own business. In our today’s article we will tell you about the first-class service – Heartland, designed to assist your business in saving money, as it provides your clients with the most convenient way to pay for certain services. Rick Kamal, Territory manager, told me about uniqueness, convenience, simplicity and multifunctionality of the services provided by Heartland Payment Systems. Rick, tell our readers about your service and how it stands out from hundreds of other companies within Payment Processing Industry. Heartland has been providing payment processing services for more than 20 years and is a national company! Today, Heartland card processing, payroll and payment solutions to more than 300,000 businesses and educational institutions nationwide.We are proud of several advantages. First, we provide remarkable customer service 24 hours a day, 7 days a week! Now, if you have any difficulties with the transaction and something is not working you will call our 800 number and be able to talk to a live person right away, yes, I said it right away. But what makes the experience easier is you nothave to press multiple options and talk with a robot or a person in a foreign country where a language barrier may cause you frustration especially if you need something right away. You will get guaranteed assistance from an operator from the USA. Second, our company has implemented a “transparency” policy. Unlike other processing companies Heartland provides “Simple and Transparent pricing”, you will never face unclear charges. Our client knows what they are being charges and we even show you how much we made that month bases on your processing. I don’t know too many companies that show their clients how much money they made. Moreover, your rate will be consistent we will do not participate in the industry standard of “rate creeping”, so there will be no surprises several months or even years after you sign up. Third, all our reports are available in real time mode. The company’s policy takes things a step further! Monthly reports show you both – how much you saved with us, and how much we earned with you! It’s hard to believe, isn’t it? Of course, not every company is so frank with its clients. what kind of businesses do you deal with: small-sized or large-sized? We manage small & large business, such as car repair shops, grocery stores, cafes and beauty salons, as well as large companies multi-million dollar companies. Each client is provided with a personal service, that is, each business has its own clientmanager and anytime ready to assist and discuss options for solving various issues. Our clients appreciate us for ourhigh-quality services and for putting the interest of their business first. It is very hard these day to get the best of both worlds great service followed by great pricing. Name several your clients and range of your options, if possible. We cooperate with a wide range of organizations: commercial (7/11 chain stores, Subway, large hotel chains in Las Vegas, Firebird Slavic Restaurant), charitable organizations (Council For Cross Cultural Affairs, Slavic churches), educational institutions (various schools, kindergartens), medical and legal offices, online shops and many others. Heartland has a wide variety of way our clients can accept cardpayments. 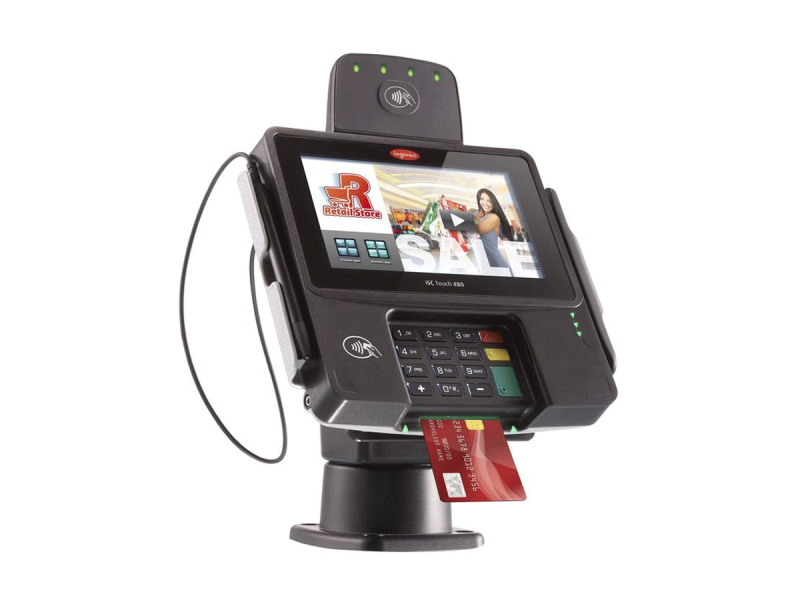 We have the traditional terminals that can be used in different industry types and have specific types of POS Machines based on the industry. Heathland has grown over the years we have added “ Mobile card swipers” which work well for on the go clients an clients that need to for a specific events. We lead the way with our Ecommerce for client looking to branch out and achieve payments online. I believe this is an excellent service and it is ideal for entrepreneurs who have just started their business. While the annual income does not exceed $ 30,000, Square is convenient and profitable. But as soon as your income grows, this service will no longer satisfy you and you will have to look for a service with more acceptable interest rates, since using Square will be unprofitable. Let’s discuss security issue. All your terminals comply with EMV guidelines. Why is it so important for an entrepreneur to take care of servicing chip cards and what is the danger of negligence in relation to this matter? It’s a great question! To begin with, I will provide certain statistical data: during last year the loss of small-sized business amounted to USD 70 billion because of transactional fraud! Huge figures, aren’t they? EMV (Europay + MasterCard + VISA) is the international standard for operations with chip bank cards. This standard has been developed jointly by Europay, MasterCard and Visa to enhance the security of financial transactions. All our terminals are equipped for chip cards and increase security by times, protecting your business from frauds and scammers. Very often the client does not understand the fundamental difference between cards with a magnetic tape and a chip. I will explain it using simple example: you are a car repair shop owner. A client comes to you, selects spare parts, uses a card and goes back where he or she came from. A few days later this client calls the bank and cancels the transaction, stating that it was not made by the client. And if used card was not with a chip, the bank takes sides with the buyer, and you will lose your nerves, money and goods. And last, Rick, tell me how to contact a representative of your company and whether the first consultation is free of charge. Of course, the consultation is absolutely free of charge. We will provide detail information about all available options and services, and work with our client to select the most favorable rates and terminals; it will help both to save in future, and to optimize the payment system. Our main goal is to make your business prosper, and relieve you of the one of many stressful things a business owner deals on a day in and day out. You can count on Heartland and myself to help you manage your card payments, payroll all while keeping your business safe and secure.